You’ve surveyed your employees and the news is good! They report being satisfied with their pay and benefits and happy to be working for you. Don’t celebrate too soon. It sounds counterintuitive, but happy workers may not be everything they’re cracked up to be. 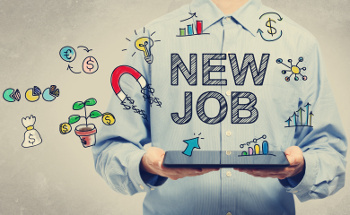 According to a recent Mercer study titled “Inside Employees’ Minds,” 37% of surveyed employees who said they were quite satisfied with their jobs, pay and benefits also reported that they were considering looking for a new job in the coming year. Even worse: Over 90% of senior managers who said they were satisfied with their jobs also said they would consider leaving soon. You need a plan for tackling turnover, especially among senior managers and other key employees. One strategy Mercer suggests: Approach them one-on-one. That could happen at review time—or maybe right now. The end of the year is a perfect time to have career conversations with employees, before they make New Year’s resolutions to find new jobs. Be prepared to get creative. It’s a seller’s market now, and job-seekers hold more cards than they did a few years ago. Would allowing more workplace flexibility help retain your high performers? If pay and benefits aren’t a problem, might the key to retention be better opportunities for professional growth? You won’t know if you don’t ask. Can we ask employees about retirement intentions?